Hartley Sawyer makes his first appearance as Ralph Dibny, a.k.a. 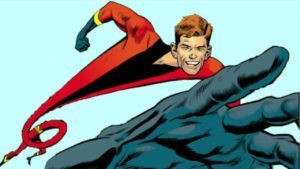 the Elongated Man, in the October 31 episode of The Flash. 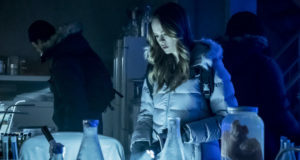 TOM CAVANAGH DIRECTS; DANNY TREJO GUEST STARS AS BREACHER — Cisco (Carlos Valdes) is shocked when Gypsy’s (guest star Jessica Camacho) father, Breacher (guest star Danny Trejo), shows up on Earth-1. Breacher takes an immediate disliking to Cisco and decides to hunt him. Meanwhile, Barry (Grant Gustin) runs into his old nemesis, Ralph Dibny (guest star Hartley Sawyer). Tom Cavanagh directed the episode written by Sterling Gates & Thomas Pound (404). Original airdate 10/31/2017. Did the writer know how stupid that read as both sentences contradicted each other? Proofread what you write before publishing!! The description and first sentence of that description have nothing to do with one another, so no “contradiction.” Ralph Dibny has not appeared on The Flash before, that is true. 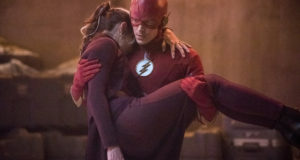 Barry Allen knew him before, that is also true. Check your facts before commenting with something rude! !